We're always looking for great examples of Drupal sites to inspire us and to share with our clients when they ask "what are some popular websites that run on Drupal?" Now we've got plenty. Topdrops.org is a simple site that's updated monthly based on the latest access statistics. 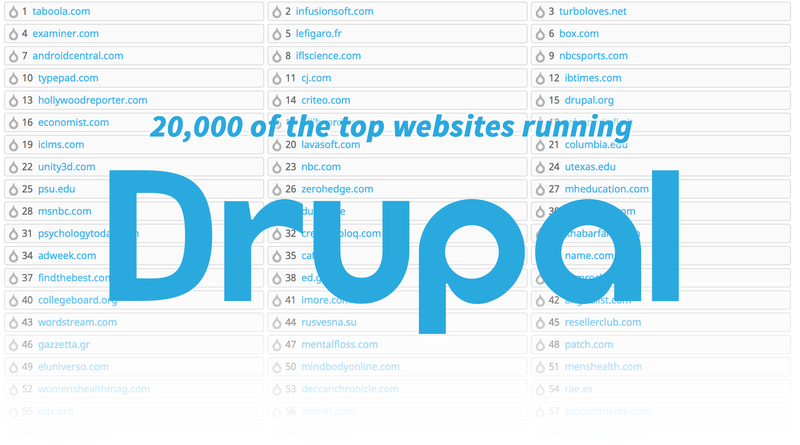 The site includes links to 20,000 examples of sites running Drupal. We're proud to have four of our clients in the top 100 - Men's Health, Women's Health, Prevention and Runner's World. Special thanks to Riaan Burger who maintains the site! Are you looking for a talented team of Drupal developers to help with a new project, or to update or maintain an existing Drupal site? Contact us today. What to Look for in a Drupal Agency. How to Create a Landing page: The Ultimate Guide. How to Make Your Website Better in 10 Steps.